Whether you live in a studio apartment, a small room, or a big house, we all love our windows. Windows help us feel more comfortable and connected with the outside world, and it also lets natural daylight come inside our home giving us our daily dose of Vitamin D. Even in workplaces, windows are a must to make the office more lively. Studies have shown that having windows in office rooms or homes can increase productivity and creativity. But as much as we adore having a bare window in our house, having the right window covering has more benefits. So if you’re wondering why you should trade your bare minimalist window style with a beautiful and functional window covering then this article is for you. We have listed four ways window coverings can transform your home into a place we love enjoy. Blinds Plus Designs located in Huntington Beach CA is here to help you in anyway to make your home more beautiful. So we’re gonna start off with something that is very obvious. Installing a quality window covering can turn a dull window into an aesthetically pleasing part of your home or office. 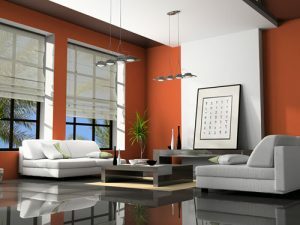 Most people also love to get window coverings that add their own personal style to their home. As we all know, there are hundreds of varieties of window coverings that can fit any mood, style, or motif you’re going for. This way, you’re spicing up your place by adding one small change. Additionally, window covering can completely change a place’s ambiance. Whether you want your space to feel warm or have a relaxed vibe, window coverings can make a huge difference. Yes, bare windows can give that particular “natural light” vibe in your home or office but having that kind of transparency can also become a problem. Imagine if you’re living in one of our Orange County suburban cities with houses side by side. Everyone can see what you’re doing, and that doesn’t seem comfortable and safe. In a work setting, having an open window can also distract your mind at times. By installing window coverings, you are not only increasing your privacy, but you are also reducing noises that surround your home as well as the noise from the inside. Window coverings can help dampen echoes and sounds helping you have a more peaceful and quiet space. When trying to save on energy bills, windows can both be a friend and a foe. Windows are an ideal source of harnessing heat from the sun. However, it can also be a potential source of high energy bills during hot summer months. Having bare windows during hot summer days can cause you to amp up your air conditioners 24/7. But using energy efficient window covering can do some good magic around those windows. It can strategically help you in your goal of energy savings while creating a more comfortable environment since most window coverings are good insulators. 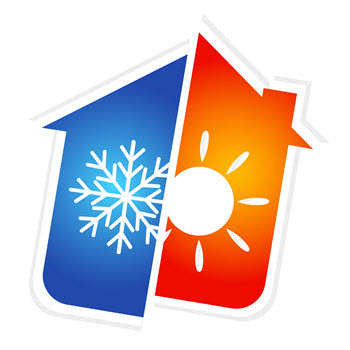 By doing so, you will be using heating and cooling devices less. Considered as one of the best benefits of window coverings, having control on the amount of light that gets into your home or workspace is very important. Whether it be a window covering that is room darkening to enhance one’s sleep or to watch a movie on a sunny day, or a bright window coverings in Orange County that can help get the creative juices flowing, it affects our state of mind. With quality window coverings in Orange County homes, you can adjust the amount of light that goes inside according to what you need by just opening or closing, and sometimes tilting. Light control plays a vital role in a home’s functionality and livability regardless of what purpose the space serves.